Summer sun calls for fun in the gardens! 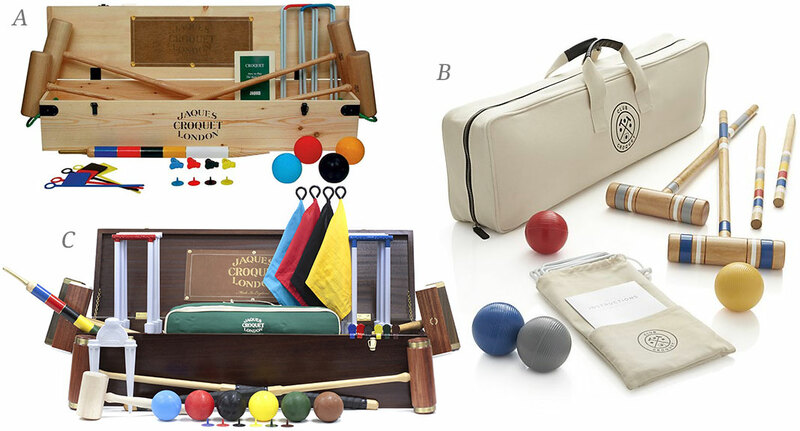 See if you can guess which set starts at $4,999.00, and which is $199.95. Ah nightscaping, the art of illuminating the exterior of your home, pathways and endlessly manicured botanicals. 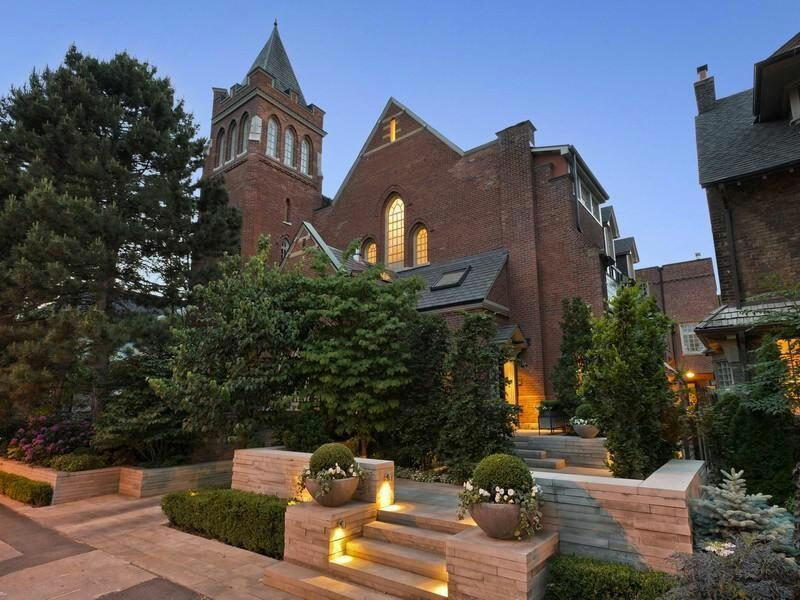 The image above is a church in Toronto that has been converted into a home. The landscaper fortunately added pathway lighting that gives it a very welcoming feel. A few years ago we added a bricked shed in the furthest corner of our property and finished it with two hanging coach-house lights, a single flip of the switch instantly extends our property and view in the cool summer evenings. We have since added LED pot lights in our soffits to accentuate coffered corners on the exterior of our house. We have sincerely enjoyed our property so much more with this attention to light. If you have water features, consider underwater lighting, if you have lovely gardens and beautiful trees, you should consider back, down and/or up lighting to enhance and enjoy your property when the sun starts to set a little earlier. 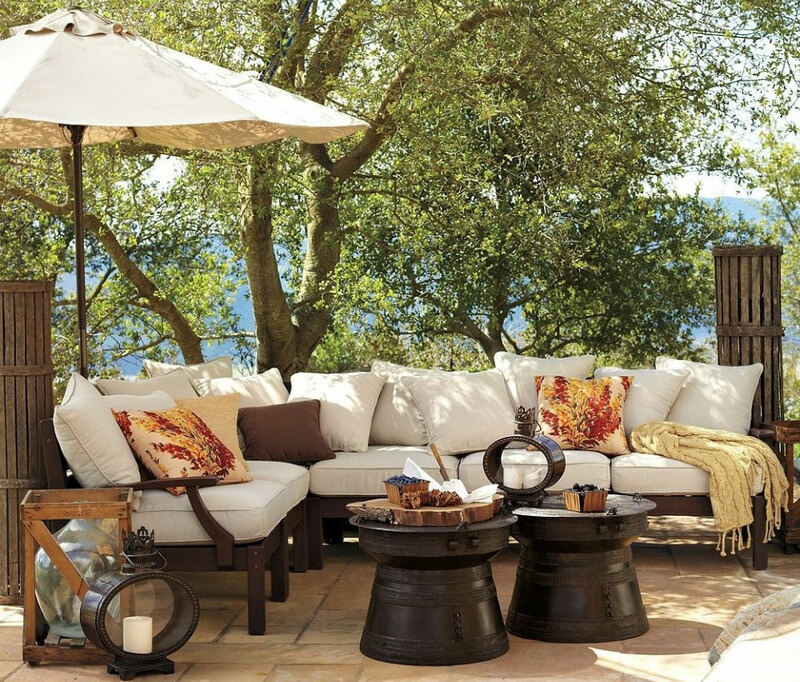 The summer heat is coming, and if you are in need of a cool spot to enjoy this warmer weather, you should get under the canopy of a patio umbrella. 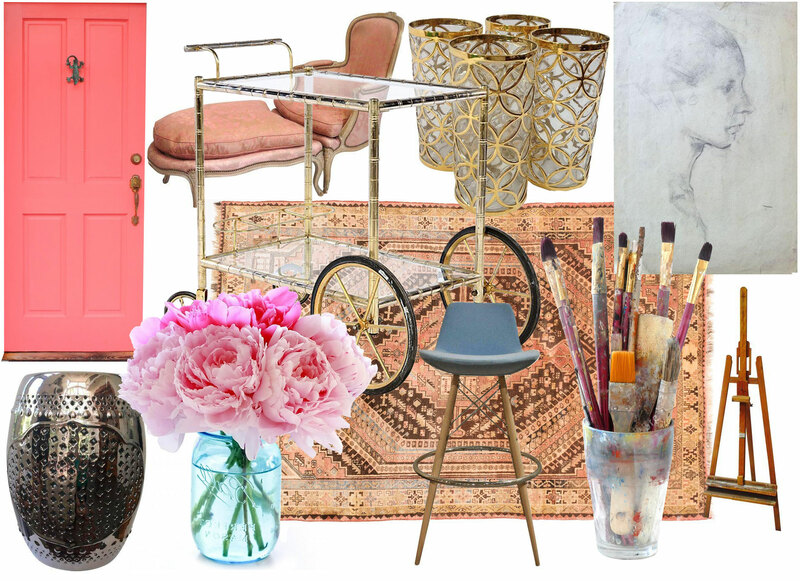 Investing in beautiful patio chaise loungers and outdoor dining sets are not as enjoyable without a bit of shade. Lots of stores carry a plethora of wooden market umbrellas in vibrant and neutral colours. 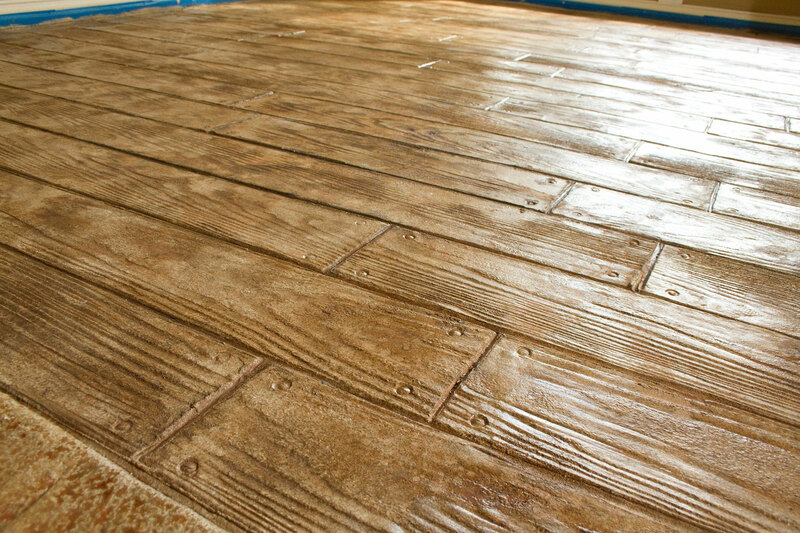 You are looking at stamped concrete my friends. Seriously. I was floored when I saw this and after a little research I found a link to a similar looking concrete stamp (click here). The applications are exciting to think about; deck, commercial floor/ office, or basement. Stained concrete and stamped can be a little pricier than standard poured concrete, but do make sure whoever you have install an application like this is well seasoned in installs like this one since it could be botched so easily. The above picture is from ASDierolf Concrete LLC from Texas and they know their stuff. 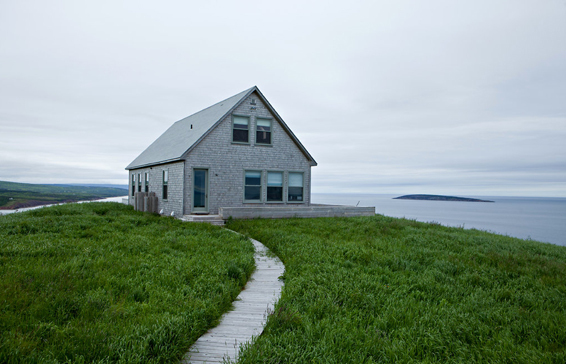 When plan A (a glass and steel contemporary structure) and plan B (a repurposed church house with 50′ ceilings) were not feasable on this windy hilltop in Cape Breton, Eliot and Alexandra Angle decided upon a simply marvellous barn-style cottage that is as fresh as the air around it. 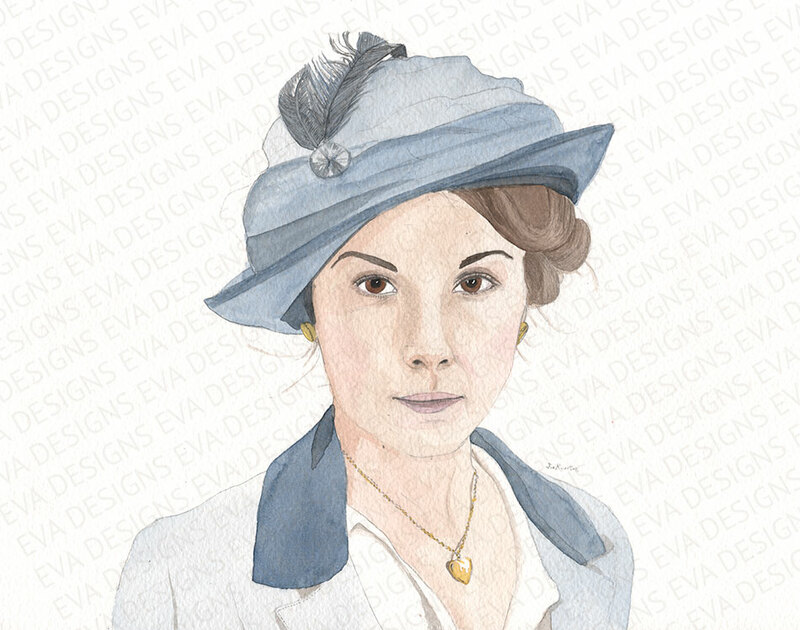 Take a look inside….. I am back from my brother’s amazing wedding in Valencia, California and all I can think about is the amazing florals, great shopping, and all of the outdoor fireplaces. Everyone seems to have one! We stayed at the Hyatt Valencia, and dined each morning at Hyatt’s Vines Restaurant, I noticed the outdoor fireplace by the pool and finally on our last night we noshed on Molten Chocolate Cake and coffee and took in the subtle warmth from the fire as the cooler night air touched our newly tanned bare legs and arms. It is one of my favorite memories from California. 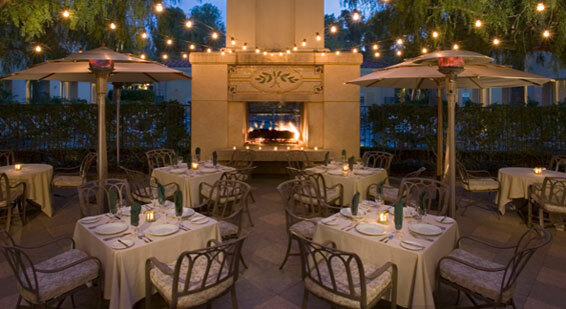 The most time I spend outdoors is typically in the evening, so I pay particular interest to lighting up the outdoors. 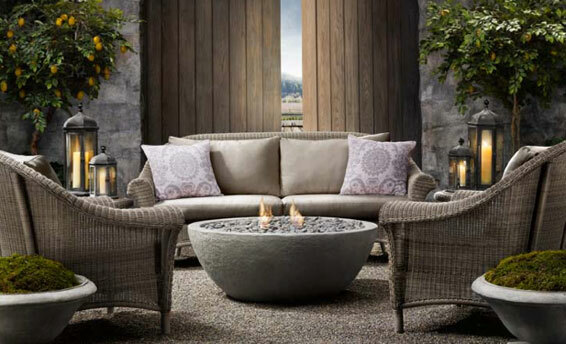 The River Rock Fire Bowl by Restoration Hardware is a steal at $699 regularly when compared to custom made which can range to the mid-thousands. The look of concrete and weathered grays is very warm and relaxing, isn’t it? 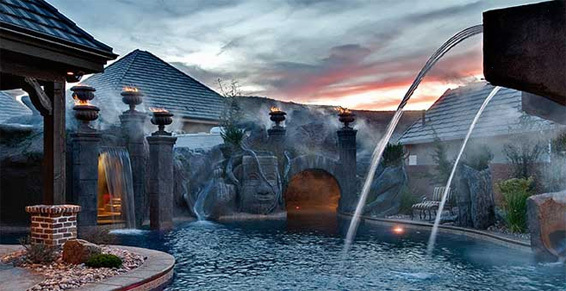 This extraordinary pool in Southern Utah is lovingly referred to as “the Ruins” by homeowners Keeran and Jamie Welch. It seems almost magical at sunset, when torches blaze and the mist rises in this private oasis. Paving your paradise might actually make it more appealing- especially if you don’t exactly have the time to weed and feed your outdoor expanse. That is the case for this Torontonian. 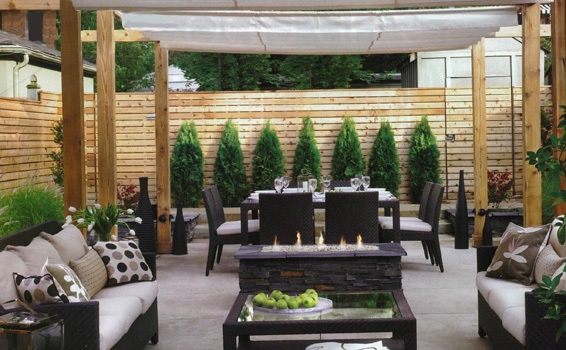 The March 2008 edition of the House and Home magazine features this attractive straight forward backyard just bursting with entertaining amenities. Poured concrete and 6×6 cedar posts make up the bones of this backyard. The custom sailcloth awning can be drawn back to let in the full sun if you wish.